There are less than two weeks to register to vote if you are eligible to vote in this year's Local Elections on 2nd May 2019. Registering to vote is quick and simple. It is your right to vote! Remember, if you are a EU citizen you also have the right to vote in Local Elections. If you have recently moved you need to re-register to vote in your new location. The Lib Dems for Test Valley Borough have launched a campaign to get kerbside glass recycling for residents of Test Valley. In a recent survey completed by residents of Test Valley 77% of Residents said: "We want kerbside glass recycling"
You may have a smashing time going to the bottle bank, but how much easier would it be if you had all your glass collected from your front door? The Lib Dem team, led by Nik Daas & Sandra Gidley have been out on the beat across Romsey to find, report and demand that potholes are fixed quickly. 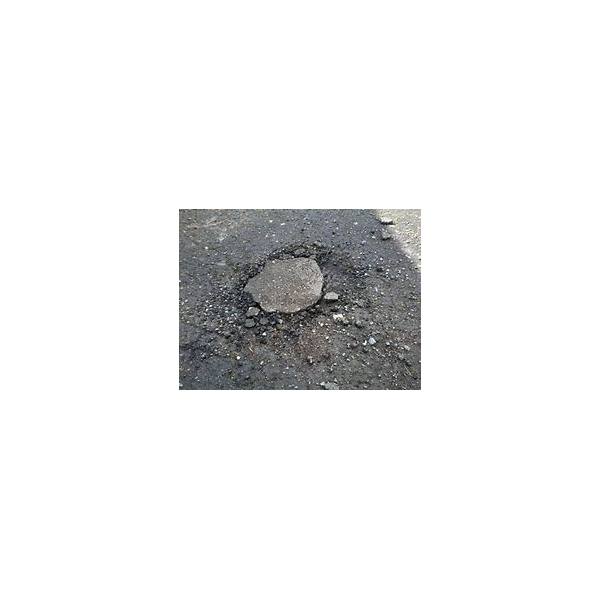 Potholes and pavements in the area are in a very poor state and the Lib Dems think it is completely unacceptable that it takes many months for them to be fixed. It is simple unfair on taxpayers! 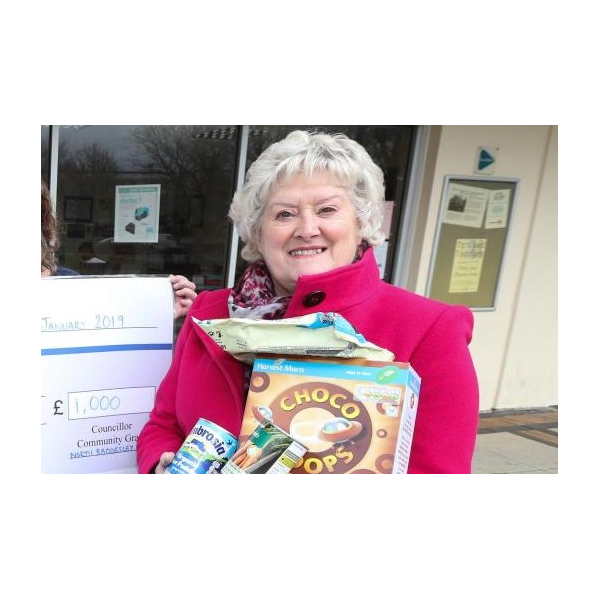 Leader of the Lib Dem Group on Test Valley Borough Council, Celia Dowden presented a cheque of £1,000 to Romsey Foodbank. Accoding to data, 1,215 residents used the food bank from 2017 to 2018. The Lib Dems fight to ensure equality in our society and we will work to ensure that where there is no need for people to use food banks. We want food banks to be a thing of the past! 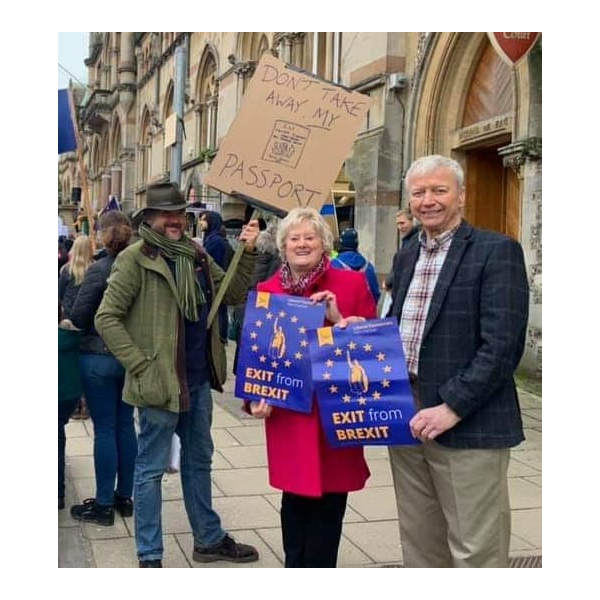 Liberal Democrat Councillors Alan Dowden, Celia Dowden and Christopher Thom attended an Exit from Brexit rally in Winchester. The team hear speeches from Vince Cable and Andrew Adonis. Hampshire County Councillor, Alan Dowden has opposed ideas to allow fracking company's to take on drilling without consulting through local planning applications. Cllr Dowden signed an open letter with 805 other local representatives to call for the propsal to be dropped. "These proposals represent a desperate attempt to force a failing industry onto communities. Local people understand the risks posed by fracking to their community, countryside and climate. The government must listen to local people and councillors to realise that this fracking propsal is a reckless idea." Published and promoted by Karen Dunleavey on behalf of the Liberal Democrats all at 1 St Clements Close, Romsey, SO51 8FF.